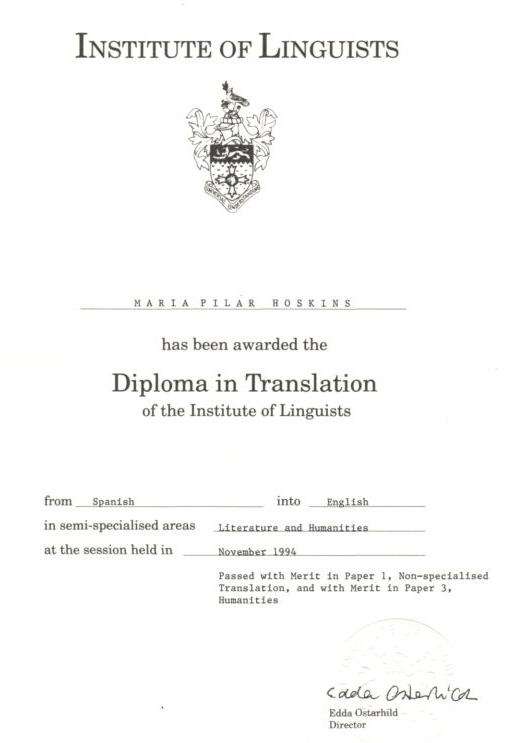 María del Pilar Hoskins is a UK lawyer and translator with extensive qualifications recognised in both England and Spain. 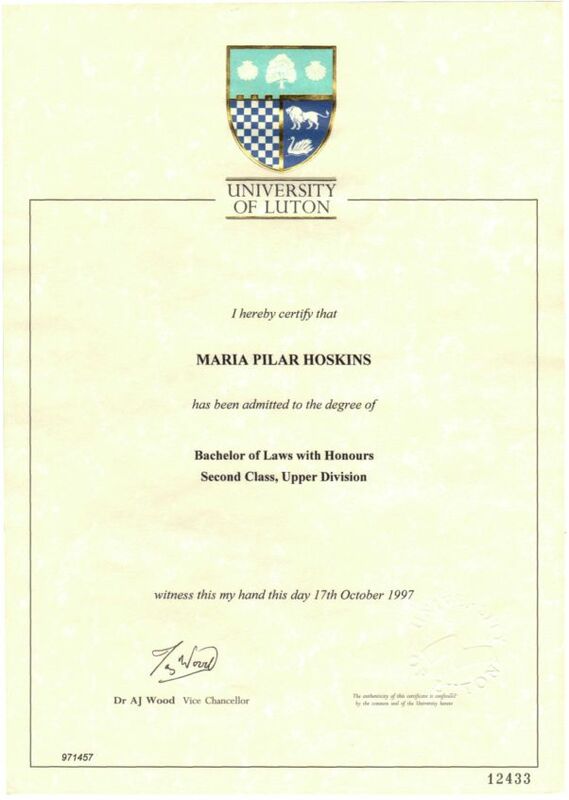 She has degree level education from both countries and has previously taught English and Spanish to language students. Commissions can be undertaken from any location and translations will be delivered in electronic format as agreed under each contract. Please email for a quotation, giving a brief description of the subject matter, word number and when the translation is needed by.